The word â€œCubeâ€ is a well known term in peopleâ€™s everyday life. When you type the word â€œCubeâ€ in a Google search, youâ€™ll see 86,800,000 results. When you search for â€œCubicâ€ in Google, youâ€™ll see 33,300,000 results. For entertainment you may recall the small â€œRubikâ€™s Cubeâ€ or some call it the â€œMagic cubeâ€. It is said this small cubic toy is the world’s best-selling toy, with over 300,000,000 Rubik’s Cubes or comparable imitations sold worldwide. It was recently made popular again when Will Smith showed his magical Rubikâ€™s Cube skills in the blockbuster 2006 movie â€œThe Pursuit of Happynessâ€. From the Olympic Games, we witnessed the mighty new generation building; Beijing National Aquatics Center, better known as the â€œThe water Cubeâ€ or â€œ[H2O]3â€. The Water Cube held several swimming events as well as the amazing feats of swimmer Michael Phelps who set a new Olympic record with 8 Gold medals in the 2008 Beijing Olympic games. For everyday transportation needs, auto maker Nissan announced their new Electric powered vehicle, â€œDenki Cubeâ€, during the NY International auto shows in March 2008. The body incorporates Japanese words such as “Denki Jidoshaâ€ (meaning electric vehicle). This new electric car prototype is a Green earth concept meant to design a non polluting green vehicle. The term â€œCUBEâ€ is takes on so many meanings and is reflective in our life style, fashion, entertainment and compact useful gadgets. Thatâ€™s why Vinpower Digitalâ€™s â€œThe Cubeâ€ is designed for all duplicator users, but especially for those people with a â€œCUBEâ€ sense of style and lifestyle. The Cube is a compact BD/DVD/CD automatic duplicator that is easy to set up and use with an attractive and useful cubic design. The Cube fits in any office or cubicle and works unattended to make up to 25 copies per run. Plus at an incredibly low price point, The Cube fits nearly any budget. With 25 disc capacity and 1 or 2 recording drive(s), The Cubeâ„¢ gives you the ability to work on other matters with the confidence that your project will be duplicated quickly and reliably without breaking the bank. The Cube may be small. But believe in me, itâ€™s very mighty! Recently I read a book about interior design which brought up some new ideas for me. With the changes of modern society, art and design have bonded in our lives. Nowadays, people have different standards and requirements for many items in life, such as dinnerware, furniture, and kitchen utensils. Originally, we only cared about the basic function of these tools. Gradually we added some modern designs and fashion elements to kitchenware and furniture for a more aesthetically pleasing look. For example, the first TV sets were very large bulky items which took up a lot of space in our living rooms. Now they have been redesigned as slim wall hanging units with flat screen displays that look more like art hung on the wall. With its new design, our living room has become more spacious and attractive, yet retaining its intended functionality of displaying televised programming. In addition, a kitchen is no longer a small and individual area that only mom goes in and out of to prepare the familyâ€™s meals. Now, the kitchen takes on many more roles as a conversation room, party room, workroom, day care center, living room and a place with laughter and the (hopefully) pleasant aroma of food. Weâ€™ve come to expect our furniture and life equipment to not only be designed for utility but also for beauty and greater functionality. The same is true for duplication equipment. In the past, we defined optical disc duplication towers as an industrial machine, more suitable for a small niche market. Now the duplicator market has grown and stepped out of the industrial facilities and into offices and homes. In order to capitalize on the growing popularization of duplication equipment and be in line with other CE products evolution to fit in to more visible environments, Vinpower Duplicator spent a lot of time and effort on the overall design and appearance. Our duplicator line is not only a machine for you to make copies of optical discs like CDâ€™s, DVDâ€™s or Blu-ray, but also a beautifully designed and crafted piece of art that can be proudly displayed and greater utilization. This transformation started with our line of manual tower SharkCopier duplicators and has transitioned to our line of autoloaders as well. In August, we released our new product-THE CUBE. It is designed as a compact light weight robotic autoloader that is easy to transport and is attractive enough to display on a desk in an office. Plus at an incredibly low price point, The Cube fits nearly every budget. The Cube is a small but mighty addition to a growing line of aesthetically pleasing functional office duplication equipment. When LightScribe first launched in 2004 (according to Wikipedia), it really did not take off as a viable solution in the duplication market right away. In fact it wasnâ€™t until 2008 when LightScribe became truly adopted into the duplication market. Much of that has to do with the development of larger standalone tower duplicators developed by Vinpower Digital, but also due to a major reduction in media costs. The new standalone towers from Vinpower Digital were a vehicle which made the technology more relevant in the duplication market because printing one off discs were too time consuming. By enabling up to 15 drives to print simultaneously, time became less of a factor allowing the technology to became a more excepted method of labeling CDâ€™s and DVDâ€™s. Now that the hardware mitigated one barrier to entry, the second barrier, high prices, was a tough nut to crack. Fortunately the division behind the LightScribe technology was committed to its success and realized that the media pricing had to be within an acceptable price of inkjet or thermal printable discs. So they encouraged LightScribe disc manufacturers and sellers to bring the price within a range more palatable with the consumer. Where LightScribe discs once costed upwards of $1 a disc initially, they are now available for less than $0.30 a disc which is well within range of standard printable media, especially when you factor in the cost of ink or thermal ribbon. In fact LightScribe has become the most cost effective publishing system if comparing the cost of hardware and consumables. If you factor in that an inkjet publishing system is upwards of $2,000 ~ $3,000 and a thermal publishing system is even higher, a few hundred dollar LightScribe tower saves a significant amount of money just from the initial purchase. Then you take into account the cost of ink or thermal ribbon and you have a huge cost savings going with LightScribe compared to more traditional disc printing. So the choice is clear, especially in financially difficult times, duplicating and printing your disc titles using LightScribe is a far more viable and cost effective method. Are you one of the growing masses to adopt a Blu-ray player and enjoy Blu-ray movie in all its high-definition glory? Here are some facts detailing how Blu-ray technology and the growing demand in the home video market are intertwined. The Blu-ray Disc (BD) format was developed to enable recording, rewriting and playback of high-definition video (HD), as well as storing large amounts of data. It offers more than five times the storage capacity of traditional DVDs. A multi-layer discs can allow the storage capacity to be increased to 100GB-200GB (25GB per layer). This added capacity allows the content producer nearly endless options to create the best quality motion picture in new ways. Plus they can add more â€œmust-seeâ€ end credit footage. A 50GB BD disc can hold 9 hours of high-definition (HD) video. Itâ€™s not unusual for a typical household to own a 70â€ widescreen TV with the abiltity to display the HD format for family home viewing. In order to actually be able to watch TV in HD, your television must have a minimum resolution of 576 lines x 720 pixels @ 50Hz progressive (576p). HD can also be 720p (720 horizontal lines progressive), 1080i (1080 horizontal lines interlaced) or 1080p (1080 horizontal lines progressive). The 1080p format is the latest and greatest, appearing in high-end television models designed for Blu-ray video players. BD-RE has different layers to support multi-language selection in movies for global viewers and multi-language broadcasts. Standard DVDs for the US market may offer up to three forms of English subtitles: 1) SDH subtitles, 2) English subtitles, helpful for viewers who are hard-of-hearing and whose first language may not be English, and 3) closed caption data (transcription rather than a translation, and usually contains descriptions of important non-dialog audio as well as “sighs” or “door creaks”) that is decoded by the end-userâ€™s closed caption decoder. Blu-ray disc uses SDH subtitles as the sole method because technical specifications do not require HD to support closed captions. Some blu-ray discs, however, are said to carry a closed caption stream that only displays through standard definition connections. Dolby Digital, or AC-3, is the common version containing up to six discrete channels of sound, with five channels for normal-range speakers (20 Hz – 20,000 Hz) and one channel (20 Hzâ€“120 Hz) for the subwoofer driving low-frequency effects. This is a format where the AC-3 bit stream is interleaved with the video and control bit streams. The AC-3 standard allows a maximum coded bit rate of 640 kbit/s. ATSC (digital TV standard) and DVD-Video discs are limited to 448 kbit/s. Blu-ray Discs, the Sony PlayStation 3 and the Microsoft Xbox game console can output an AC-3 signal at a full 640 kbit/s. If you own a huge TV screen, you may also require a high sound definition. Dolby 7.1 takes over the DVD supported Dolby 5.1 for a cleaner and crisper sound. Mandatory Managed Copy (MMC) will be part of the Blu-ray format. This feature will enable consumers to make legal digital copies of their Blu-ray movies that can be transferred for viewing on a home media center, streaming throughout your house, or even transferring to a portable player. G-java is part of G-creator which is a 2D and 3D Game and software creator which makes it possible to encrypt in todayâ€™s BD movies to include interactive fun and games other than watching the movie itself. 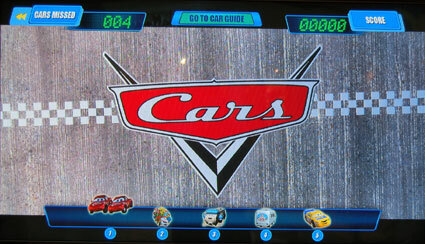 For example, the BD movie â€˜CARSâ€™ comes with the game â€“ CARFINDER and â€˜Ratatouilleâ€™ comes with the game – GUSTEAU’S GOURMET. Given all the benefits of Blu-ray over DVD, itâ€™s only a matter of time before the entire industry switched to Blu-ray as the standard bearer. Are you ready?